This weekend Littlest Dude and I drove down the road and saw a group of girls tying teal ribbons on trees. About an hour later when we returned, the entire street was lined with teal. “What does that mean, Mommy?” Littlest asked. 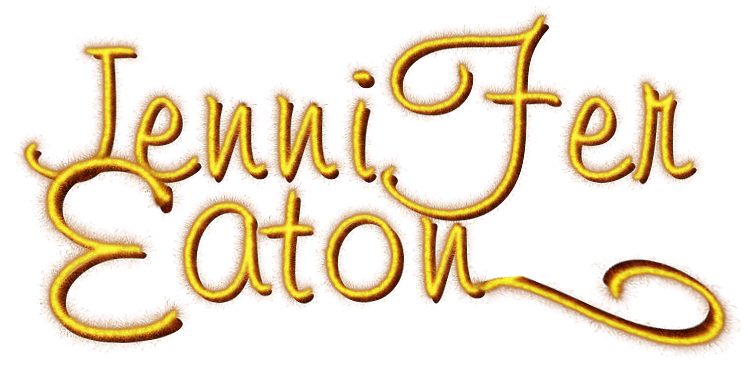 Well, I remember yellow ribbons–and pink ribbons pop up every year. But teal? That was a new one for me. 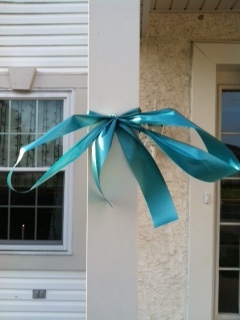 A few miles down the road we found another group tying ribbons to a fence near a nice safe place to pull over, so I safely parked the car, and I asked what the teal was for. A very nice gentleman explained that September is Ovarian Cancer Awareness Month, and they were trying to blanket the town in teal in memory of his Mom. Well, that’s certainly something I could get behind, so Littlest Dude and I drove away with our own little packet of ribbons and information. This group was from the Susan Marie Rupp Foundation, SMRFteal.org and they were full of smiles in their teal shirts with long ribbons flapping like capes around their necks… yeah, maybe super heroes in their own rights. Did you know that 1 in 71 women will develop ovarian cancer in their lifetime? and about 15,000 women die from ovarian cancer. That sure made me want to be more wary of the signs, because the survival rate is better if the cancer is found early. Women who have these symptoms almost daily for more than a few weeks should see their doctor, preferably a gynecologist. Prompt medical evaluation may lead to detection at the earliest possible stage of the disease. Early stage diagnosis is associated with an improved prognosis. This is kinda scary stuff. 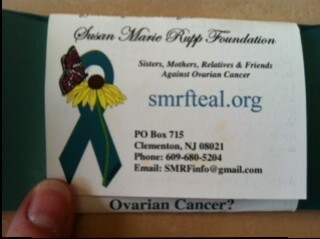 I mean, I hear about breast cancer all the time, but not ovarian cancer. This is news that everyone should know — if not for themselves, how about to help someone they love? 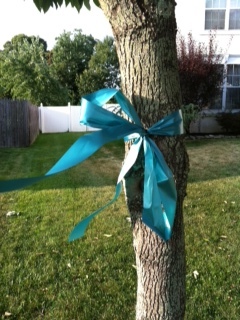 The ribbon to support Ovarian Cancer Awareness on my Neighbor’s tree. So here is my humble support for their mission. Please spread the word about Teal. Facebook, Twitter, Blog. Talk. Letters. Choose your rallying cry. 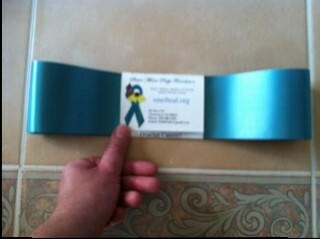 If you can find yourselves some teal ribbons. Tie them around. 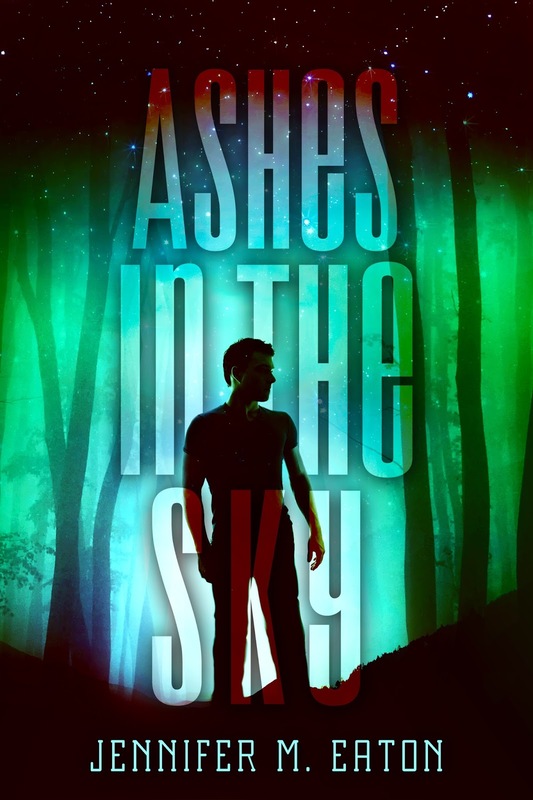 And if you don’t have time to create a post, feel free to reblog this one. 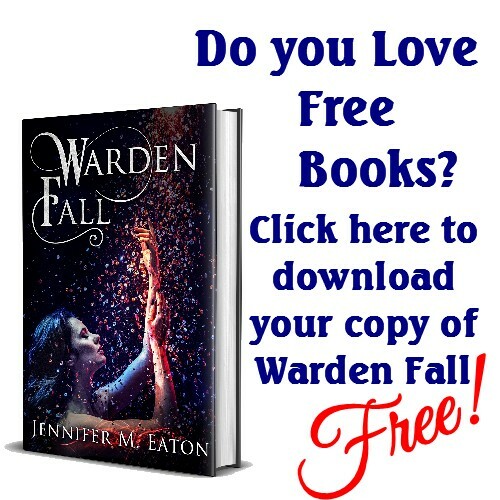 Even one life saved would make it worth your while.